SKU: VB0012 Categories: Bows, Accessories. 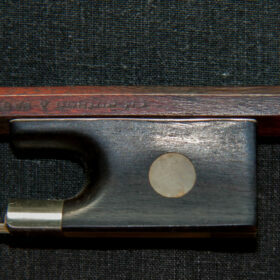 Tags: antique violin bow, bow, English bow, English violin bow, old bow, pernambuco, violin bow. This is a truly beautiful bow in every respect, it looks the ticket and plays every bit as well as you would expect. It is branded S.E. BRISTOW, and ENGLAND under the tail of the stick. Steven Bristow was apprenticed to W.E. 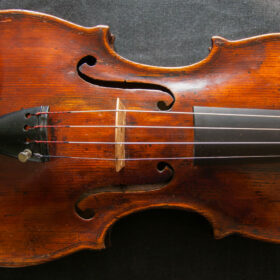 HILL & Sons, before working for John Clutterbuck and then moving on to establish his own workshop. 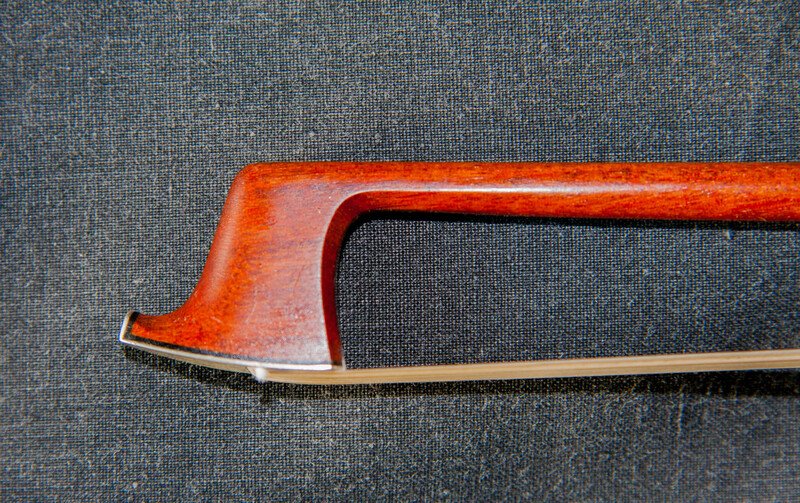 This bow is a shear delight to play. 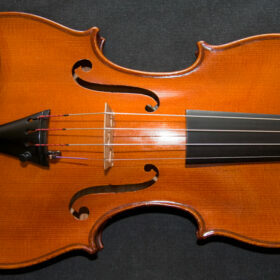 It has a nice strong stick but retains a crisp responsiveness. 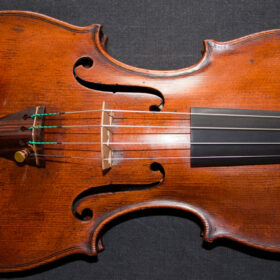 Bows of this quality are highly sought after and this is a fine example of Bristow’s work. 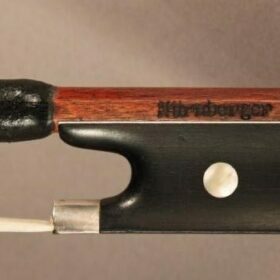 Today there is an increasing problem with ivory tips and many musicians worry about travelling abroad with an ivory tipped bow due to customs restrictions. 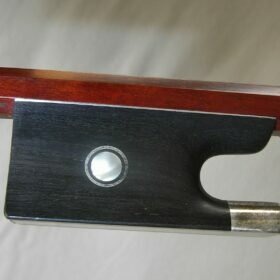 This bow unusually has a fine quality SILVER TIP.